Despite plenty of talk of the death of the motor show, most major carmakers still put in considerable effort to draw in punters to their displays and stands. The Los Angeles motor show was still teeming with people eager to poke and prod at most brand’s latest models. Except, that is, on General Motors’ show stands. GM’s big brands were there, alright, with the sizeable stands and full spectrum of product that you’d expect for its home market show. But every time I walked past the Cadillac, Buick, GMC and even Chevrolet stands, the people looking after the exhibits outnumbered the visitors looking at the cars. Yes, it was a media day and the halls were not full of buying public, but I still suspect the punters have little interest in what GM’s formerly dominant brands have to offer. The buzz was over at the German and Japanese makers, most with something new and/or relatively exciting to show off, whereas none of GM’s stands had an all-new car on display. In my view, the exodus is simply because there is nothing original, interesting or remotely innovative about the majority of GM’s product. Cadillac’s range of gas-guzzling SUVs and derivative saloon cars are far from cutting-edge, and while Chevrolet’s large range includes the slow-selling Bolt EV, the Volt range-extender hybrid has just been given the chop as part of GM’s wide-reaching cost-cutting plans, including massive factory shutdowns. But by far and away the bleakest sight was the Buick stand. 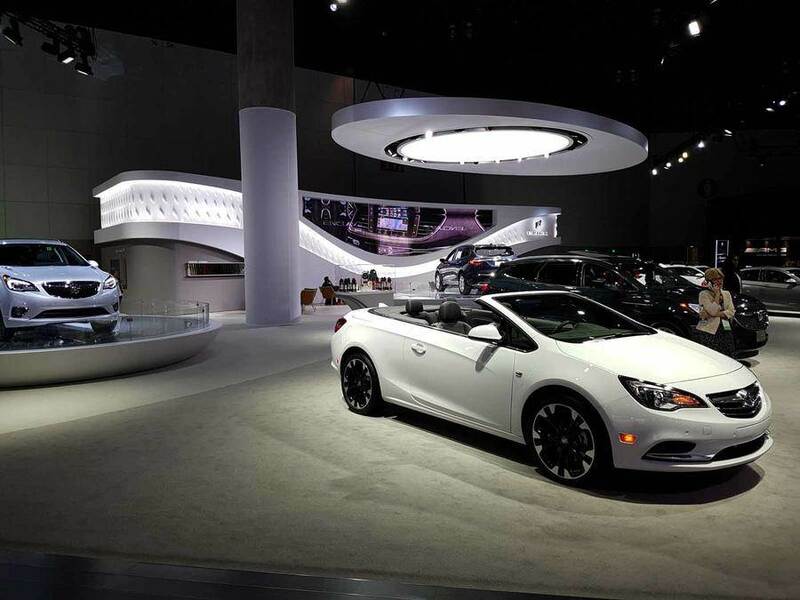 The oldest American car brand still alive has been reduced to flogging a range largely made up of rebadged Vauxhalls, with the Buick Cascada (yes, the now-dead Astra drop-top) seemingly taking pride of place. I went there to transcribe interviews because it was so quiet and watched the sad sight of a cleaner wiping the same pristine floor space that nobody’s walked on for hour after hour. The future doesn’t look good for GM unless something drastic changes. The Japanese and German manufacturers have been poaching buyers for decades, and many are now winning round staunch nationalists by building cars in the US in great numbers. What is clear from a day in LA, however, is that GM needs to start by creating some inspiring products.